This tour is a must for anyone coming to Montana to get the most out of their fly fishing vacation. It starts with Scott Anderson picking you up at the airport and hitting the road with boat in tow. We first hit the Blackfoot River located just minutes from Missoula, Montana. After a wonderful stress free day on the Blackfoot and an overnight stay in Missoula, we drive to the mighty Missouri River. After casting to sipping heads that range from 16 to 25 inches, we have dinner in Craig, Montana, and settle down for the night. With an early wakeup call we then head to the Yellowstone River located in Livingston, Montana. This area is known as the Paradise Valley. The Yellowstone River sits just outside of the famous Yellowstone National Park. Floating through this pristine river with the amazing Absaroka Range looming above you at all times is truly a surreal experience. The next day is spent with an early rise and a quick jump over the continental divide to fish the grassy meadows and undercut banks of the Clark Fork River. You will have a front row view of the stunning Flint Creek Range. That night we arrive back in Missoula, Montana, for some rest and relaxation. On day five of your Montana Fly Fishing Tour you will enjoy all the best dry fly fishing the famous Bitterroot River has to offer. The Bitterroot River is located just a few minutes south of Missoula, Montana. Montana Fishing Company will have you back to your room in time for a good night’s rest so you will be refreshed to catch your plane home the next day. This is the best way to see Montana’s blue ribbon streams. Let outfitter Scott Anderson and his team of licensed guides take care of the rest. We fly fish five rivers in six days. The blue ribbon rivers include the Blackfoot, Missouri, Yellowstone, Madison or Clark Fork, and Bitterroot. Lodging will be provided by the Hilton chain of hotels. We always have a good breakfast, lunch, and dinner for our clients. This tour was designed by Scott Anderson to be a bucket list fly fishing vacation. We like to mix it up a bit and not do the same thing day in and day out. I came up with the the Montana Fly Fishing Tour because I was tired of being on the same river in the same region every year. I thought that it would be a great expedition for clients to enjoy and still have the comfort of a lodging and a hot shower. 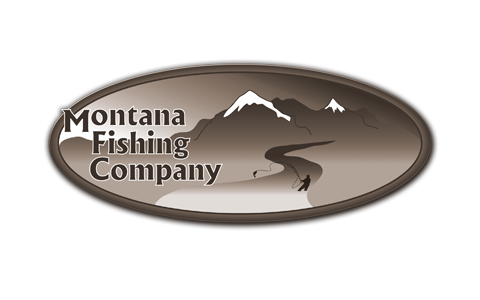 Contact us today or call 406-210-0971 to discuss your custom Montana Fly Fishing Tour!